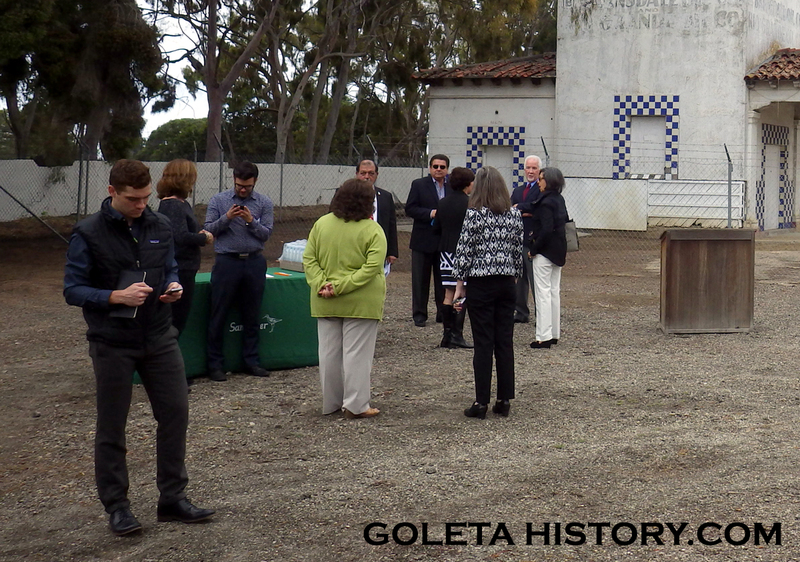 On June 11th, 2015, officials from the City of Goleta and Ty Warner Hotels and Resorts gathered to announce that the property and structure would be donated to the city. Rumors of the donation had been circulating for a while and one press conference was cancelled, but this time it happened, or so we thought. It was made clear that this press conference was for media only, and all the media outlets had their reporters on the scene. The conference was short and sweet, with a Warner rep speaking briefly. 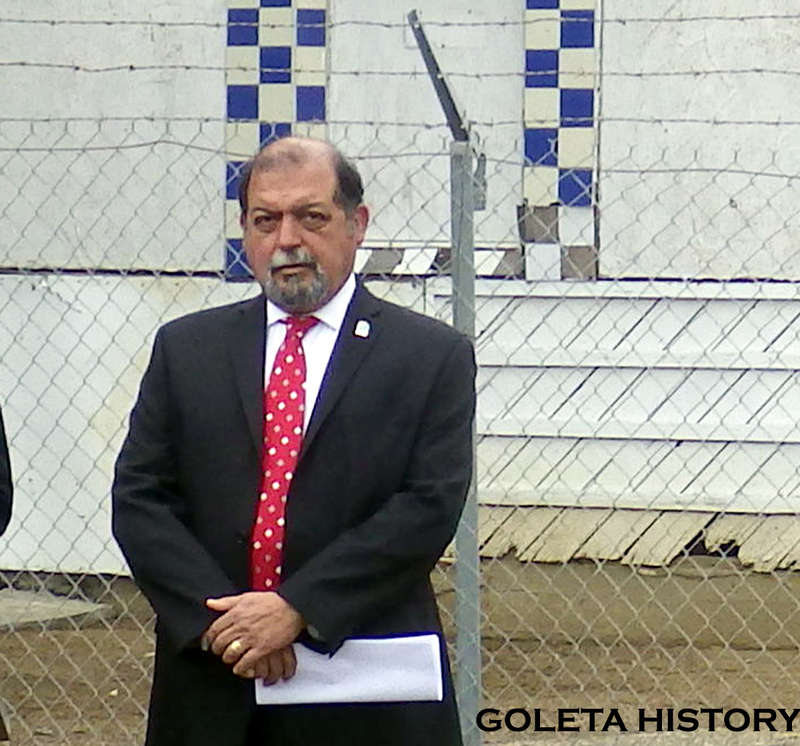 Next councilman Roger Aceves stepped up to state how he and the Warner Group had been working diligently on this and what a great day it was for Goleta. 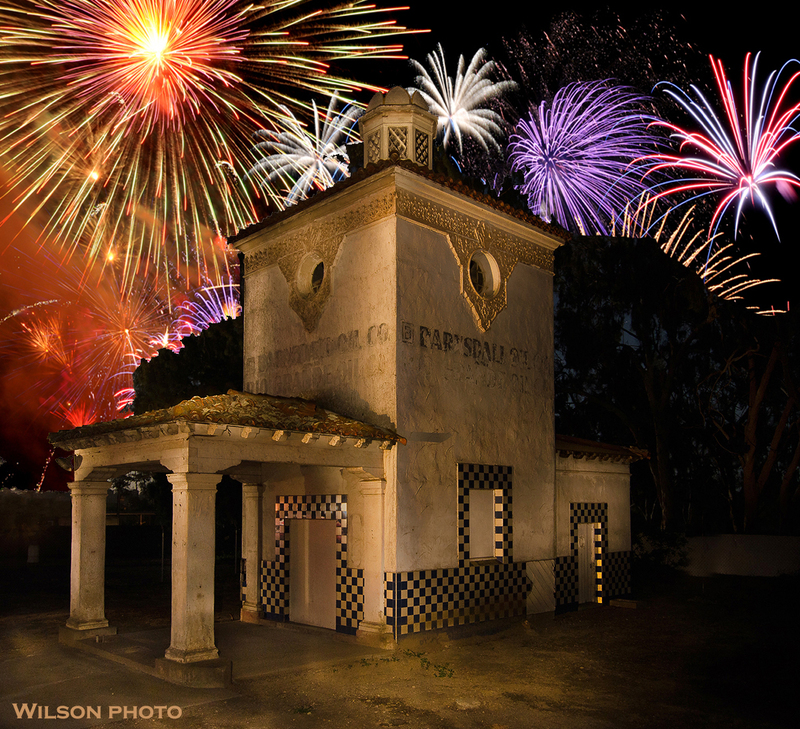 This was actually the third time an effort to save this building was made. 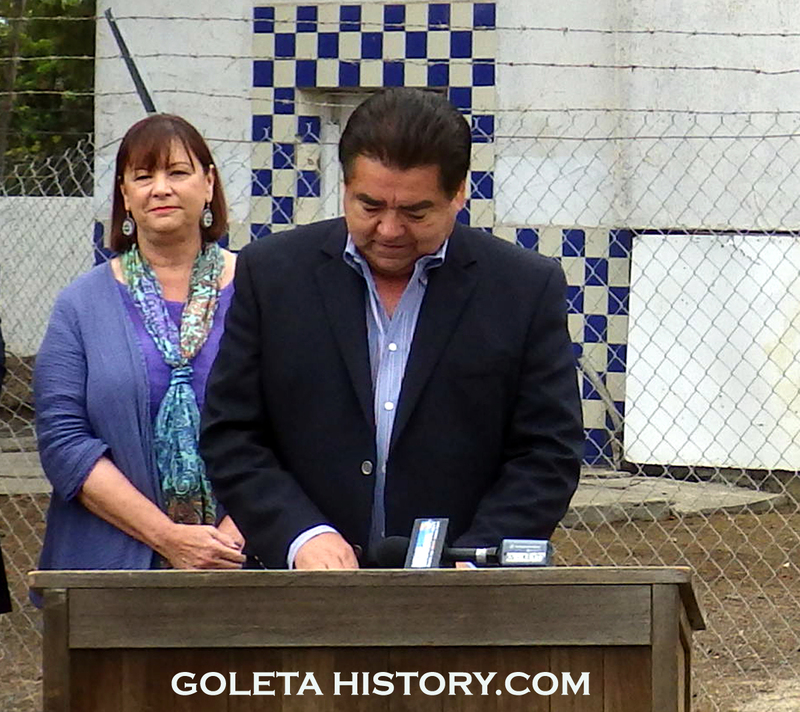 Back in 2009, Ty Warner walked away from negotiations with the city of Goleta. But before the crowd dispersed, Mayor Paula Perrotte quickly stepped up to the podium and wanted make a point of mentioning the Petition to Save the Ellwood Gas Station. She thanked all the nearly 3.000 folks that signed the petition. 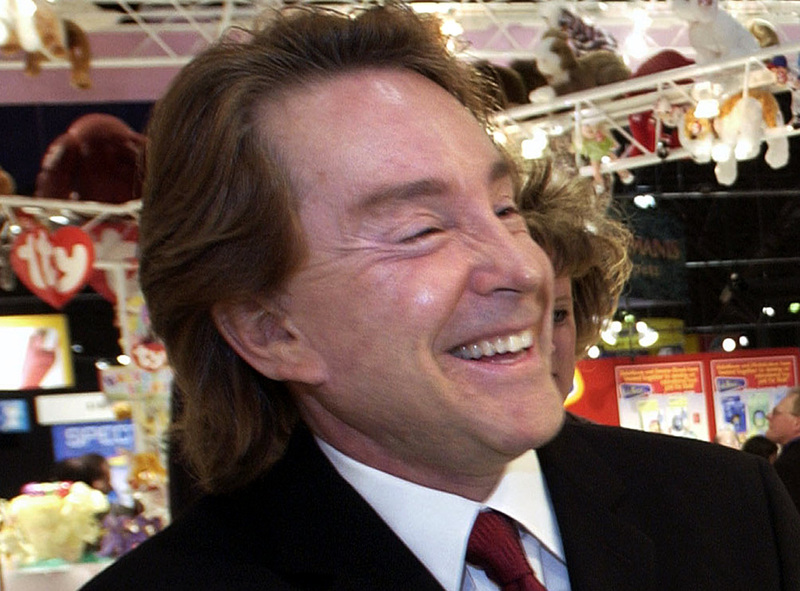 Ty Warner must be thanked for his generosity. A man with his resources could have done virtually anything he wanted with this building. 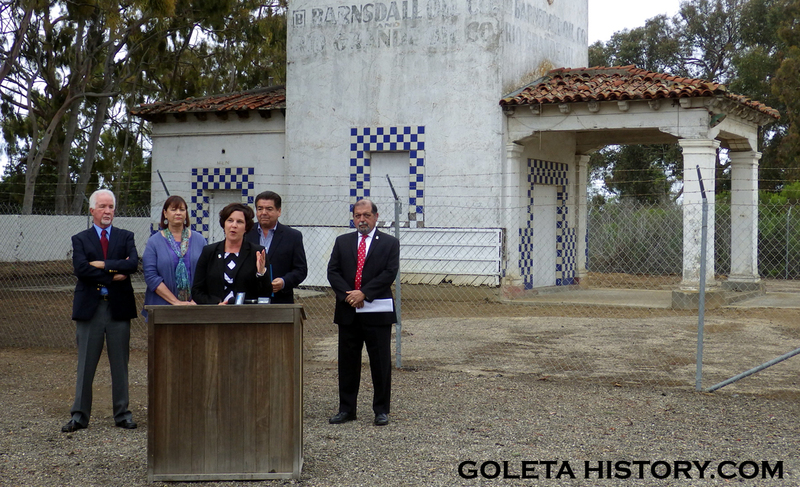 He has shown before that he has an affinity for historic buildings, and the fact that he decided to let the citizens of Goleta decide what to do with this building is commendable, but there was a little problem with the deal. That was indeed an exciting day. But as the contracts were examined further, the city learned that this generous gift was wrapped in red tape. If the city accepted it, they could never close the Ellwood Onshore Facility, which processes oil and natural gas from oil rigs. This problematic clause started back when ARCO owned the gas station land. When they sold it, they required that any future transactions include a provision barring any new owners from terminating the nearby Ellwood Onshore Facility. 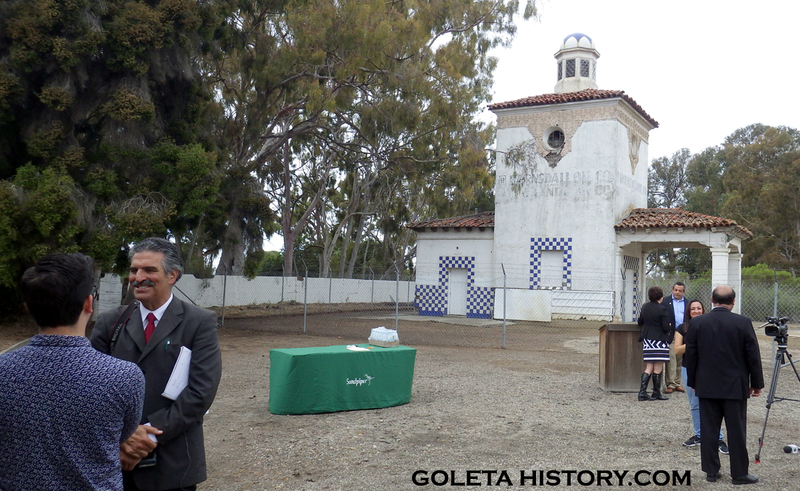 This did not sit well with the city of Goleta, who has wanted that plant gone for years. So they had to refuse the gift. Now the company that runs the Onshore Facility, Venoco, is in bankruptcy, so we may finally get the Gas Station saved. But when, we still don’t know.